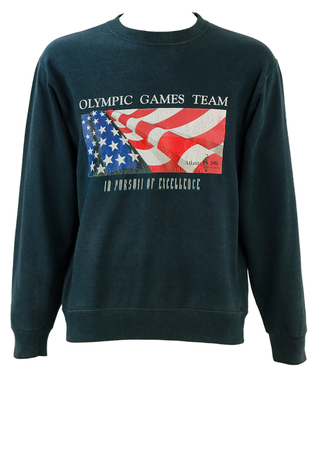 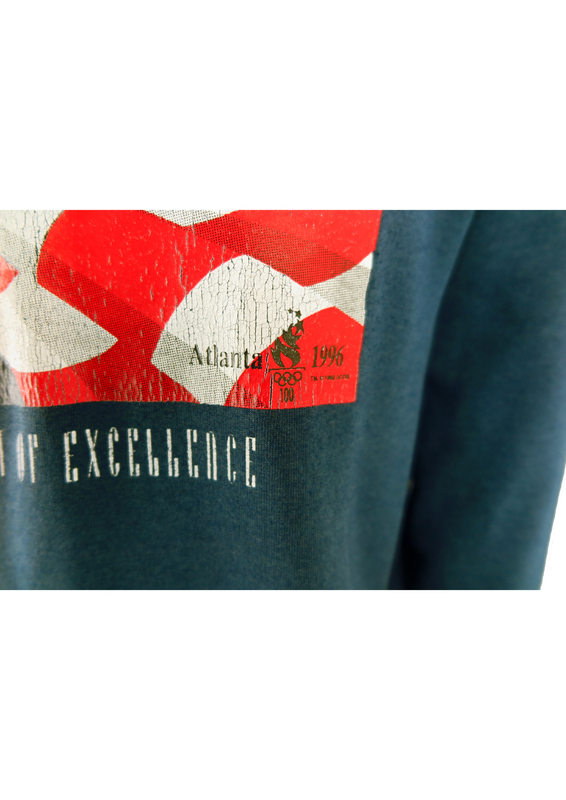 Vintage Champion official 1996 Atlanta olympic games sweatshirt. 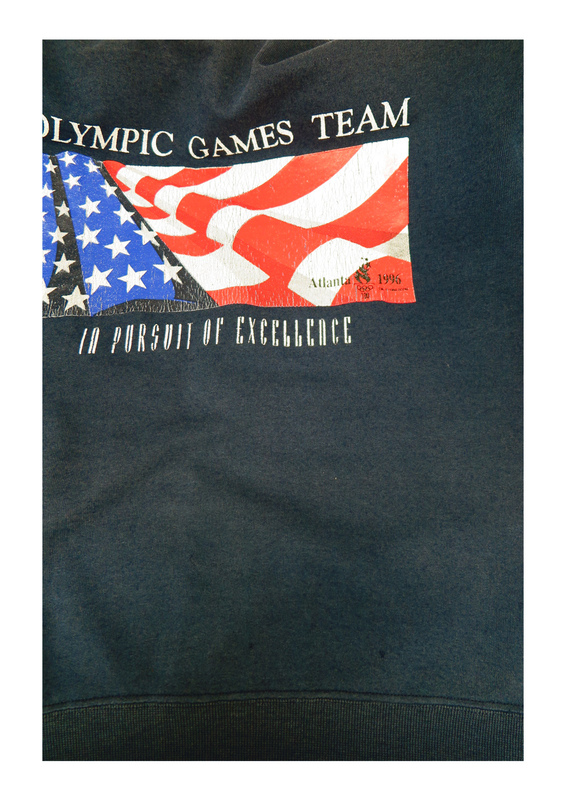 The top is blue and features a large stars & stripes emblem at the front with a Champion embroidered logo on the upper part of the left sleeve. 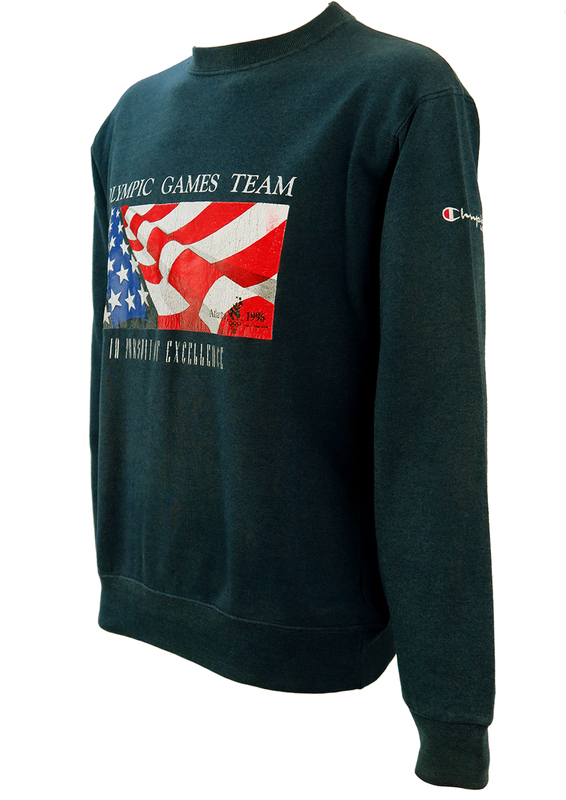 The back also features a green badge by the neckline authenticating it as part of an official Champion olympics collection. 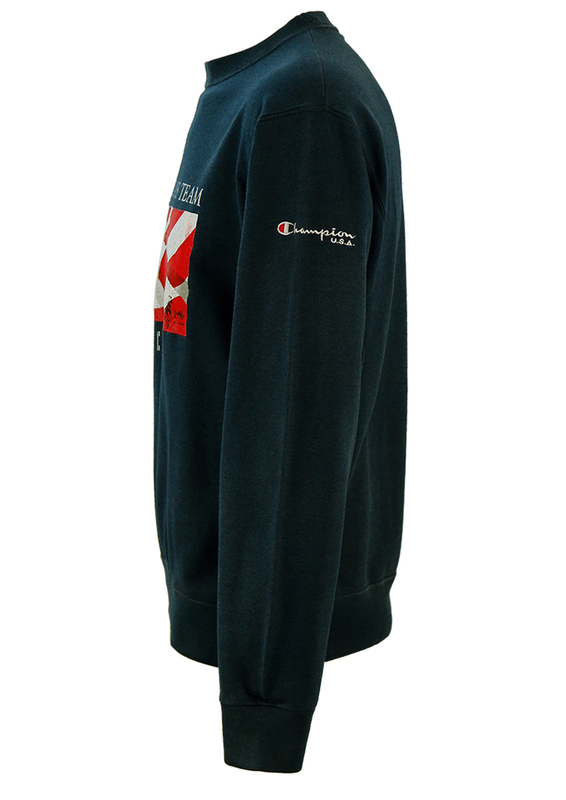 There are two very small holes at the front of the sweatshirt near the waistband although they aren’t very noticeable. 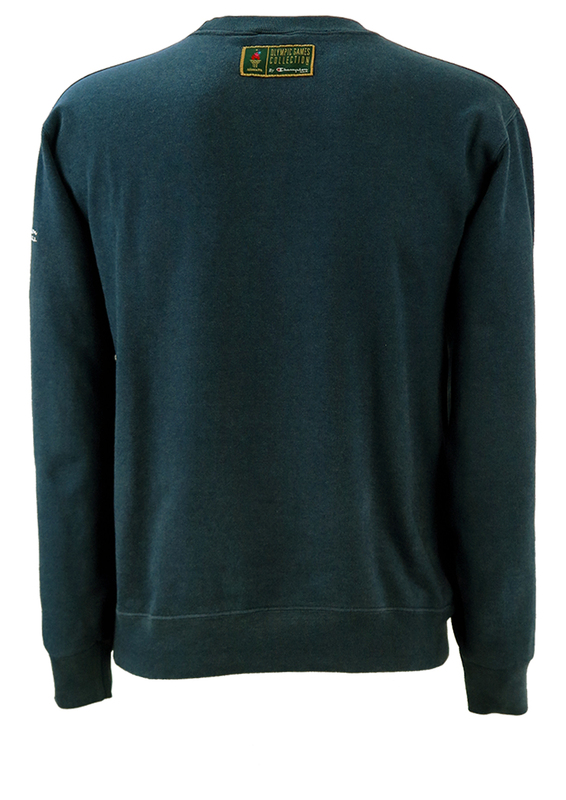 We have however reduced the price from £30 – £20 to allow for this. 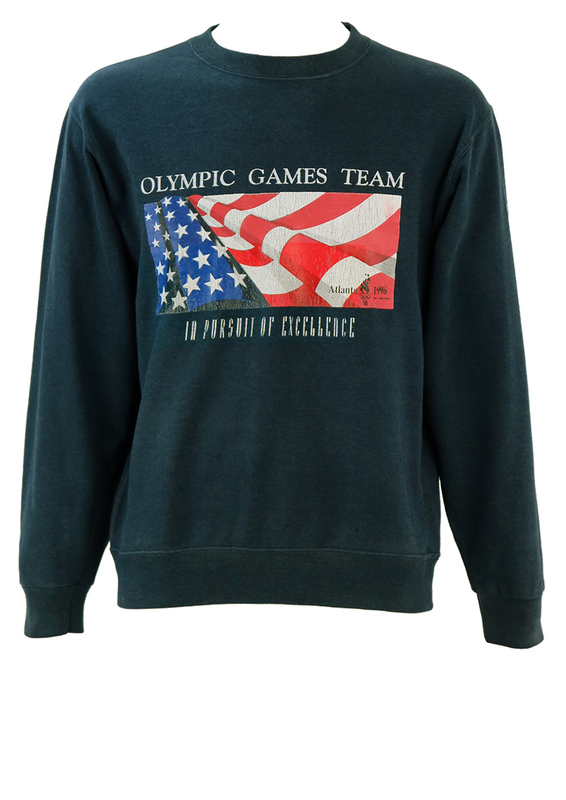 The garment is otherwise in great condition. 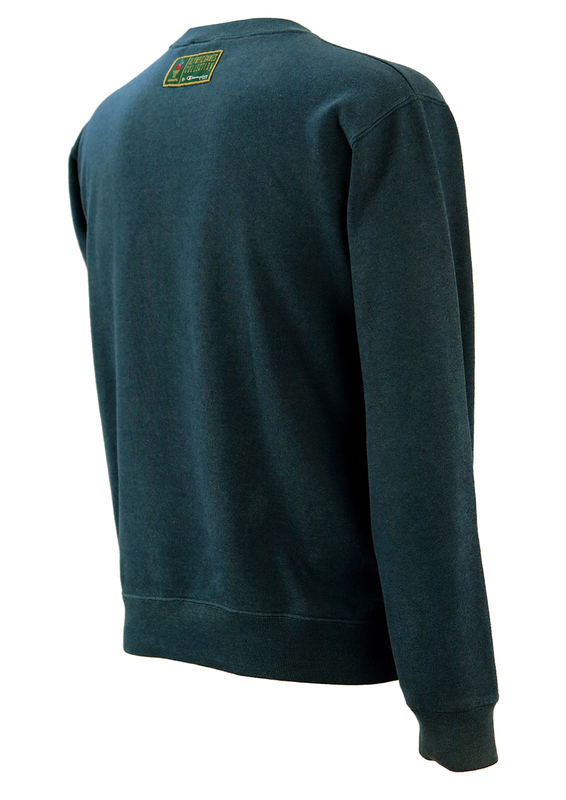 The sizing label states a size S for a relatively oversized style, however we have also sized it as a size M for a slightly more fitted casual cut.